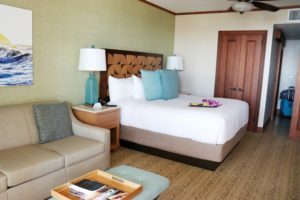 My husband and I visited Kauai in search of relaxation and luxury, we found both at Koloa Landing Resort. 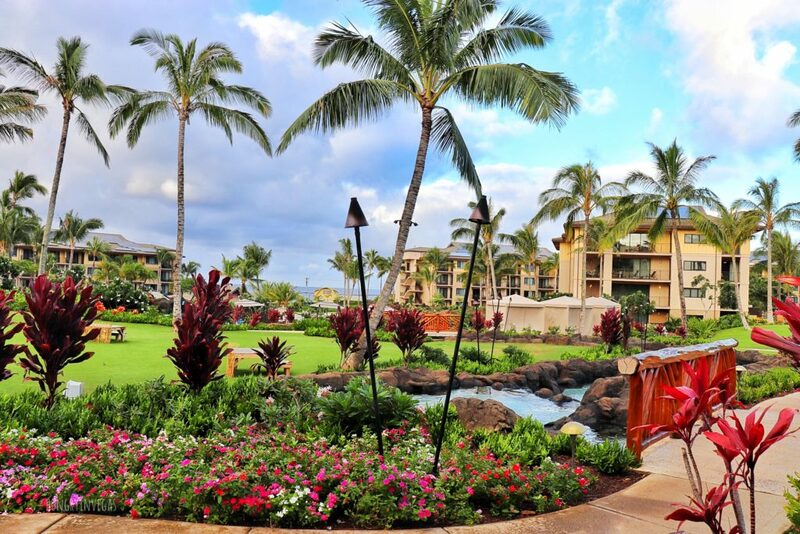 Located on Kauai’s south shore, this Marriott – Autograph Collection property is the perfect setting for a romantic giveaway, girl’s trip, or family vacation. 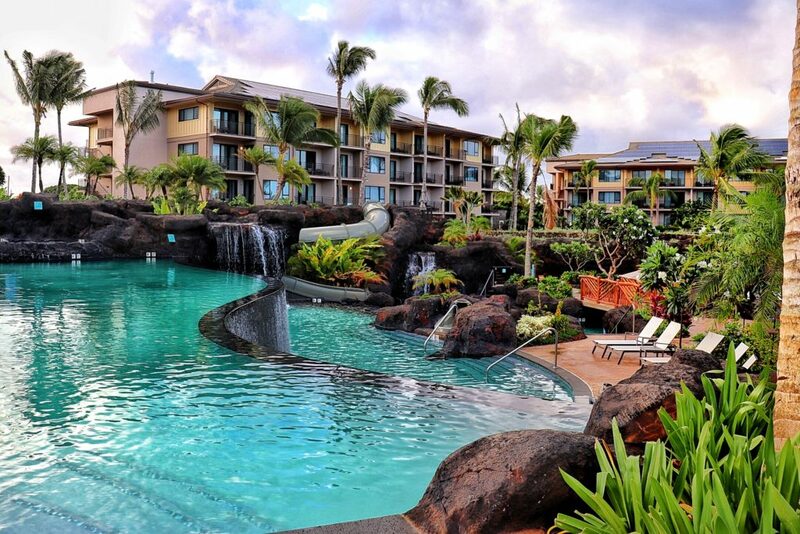 Koloa Landing Resort is located 13 miles from the Lihue Airport. We always rent a car while on vacation, and it was roughly a 30 minute drive. Costco, Foodland, and Safeway are all located near the airport if you plan on stocking up on grocery items. There are some smaller markets, including a CVS and an ABC store near the resort. 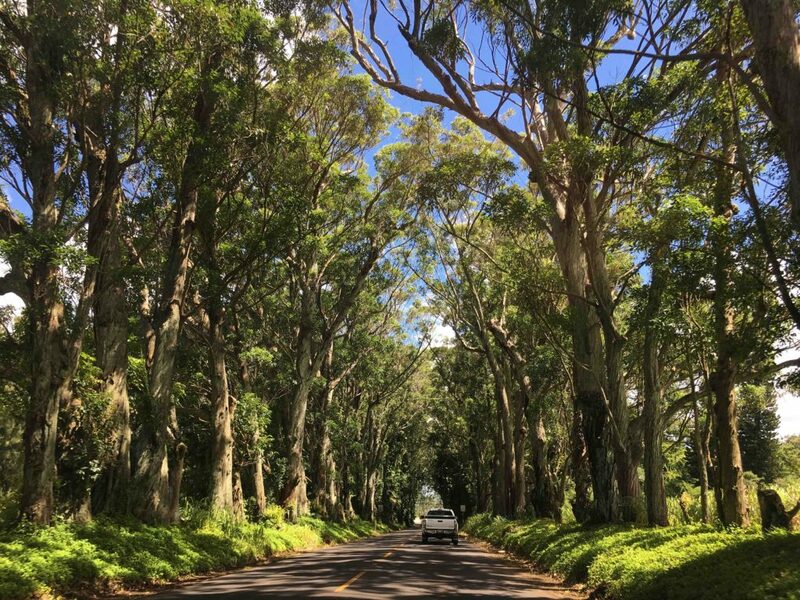 Along the way you will pass through a gorgeous tunnel of eucalyptus trees, some of the original 500 that were planted in 1911 as a gift from a pineapple baron. Although many trees were damaged during Hurricane Iniki in the 1990s, they are today quite impressive! We spent our three-night stay in a stunning Deluxe Studio on the top floor of building 8. The 500 sq foot room included a kitchenette, equipped with a mini fridge, 2 counter-top range burners, coffee pot, sink, and microwave. 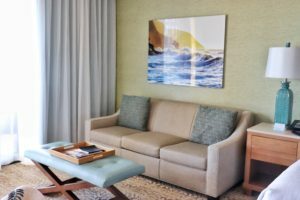 The full size stacked washer and dryer were very much appreciated – it was great being able to do laundry in our room before moving on to a different property for the remainder of our time on Kauai. 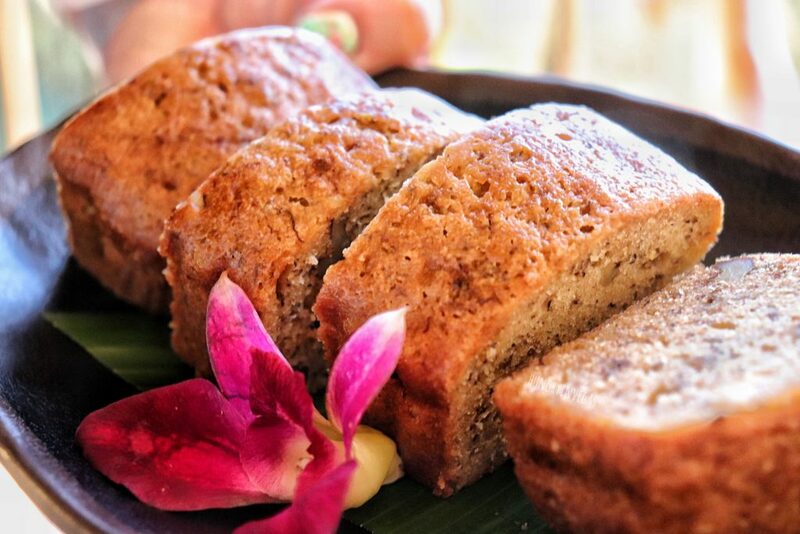 Banana bread courtesy of Koloa Landing Resort – left as a surprise in our room, along with our favorite Hawaiian Host Macs! 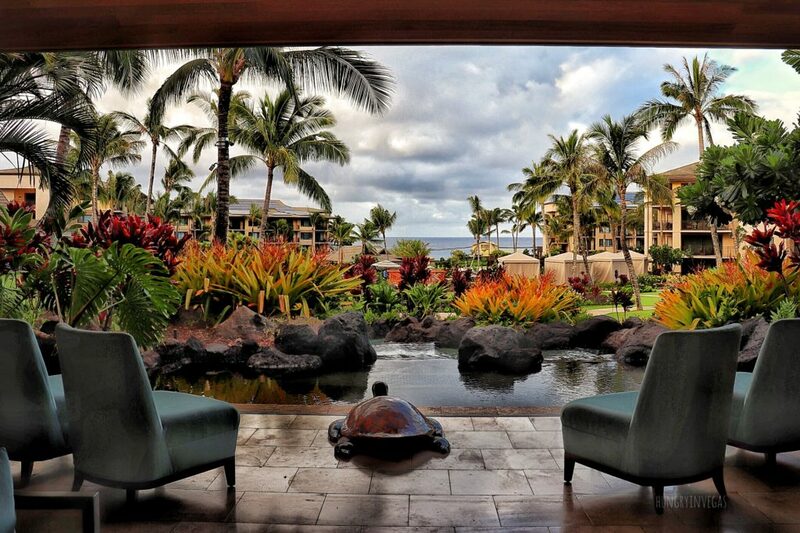 Koloa Landing Resort does not have direct beach access – the shoreline is very rocky and inaccessible, and there was a private residence located between our building and the ocean. That being said, our balcony offered gorgeous sunset and ocean views. If scuba diving is your thing – contact the hotel directly for information about the Kola Landing dive site. If you are a beach-goer, Poipu Beach Park is located just a mile down the road and is one of Kauai’s Lifeguard beaches. 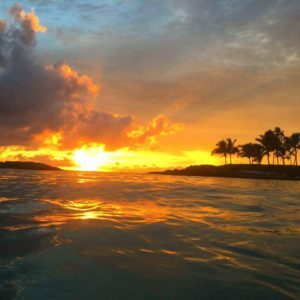 This beach is great for families with young children, and offers some great snorkeling opportunities. Definitely recommend this one! 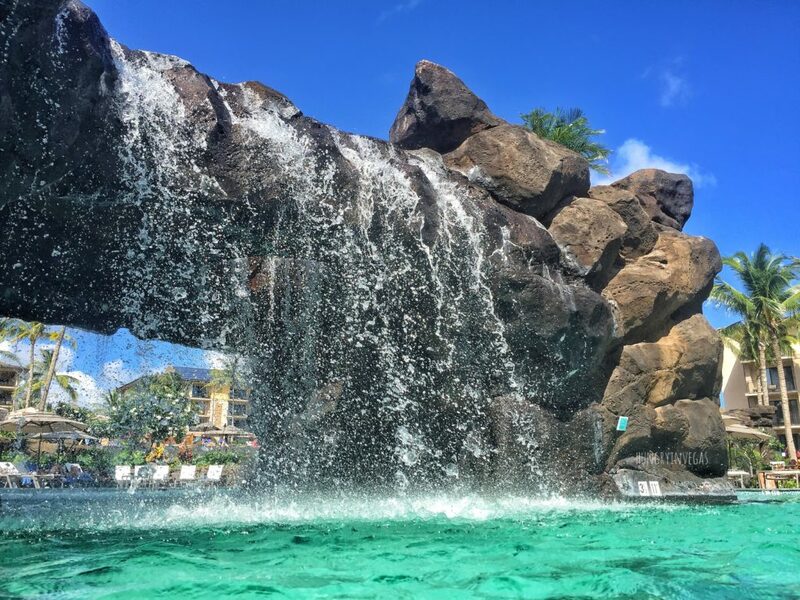 Although we didn’t visit the family-focused Lagoon Pool, we checked out Koloa Landing Resort’s adults-only waterfall tranquility pool, and their incredible new 350,000 gallon main pool. The tranquility pool offered BBQ grills and both shady and sunny seating areas, along with a hot tub. During our stay, we had it to ourselves during the daytime, but it was quite popular at night. 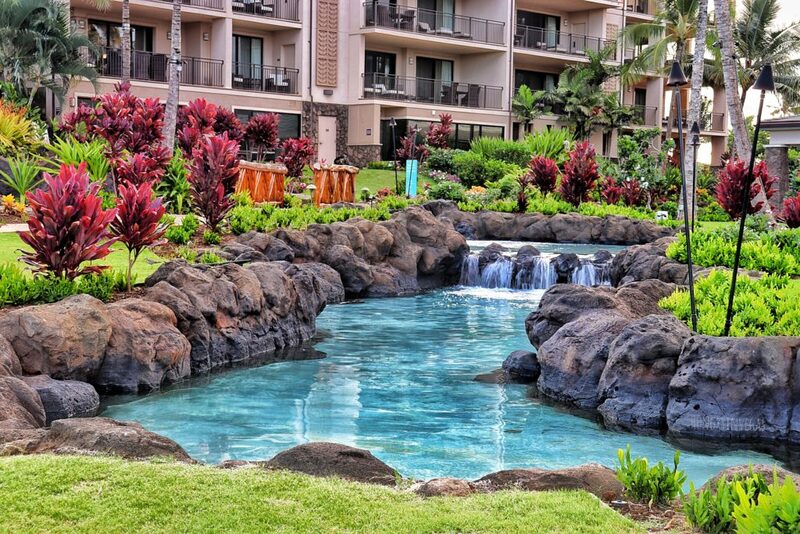 A highlight of the trip, and one of the biggest reasons we will return to Koloa Landing Resort in the future, is the main pool. Building 8 was located just steps away from the pool, but having an ocean facing balcony, we still enjoyed peace and quiet. The main pool really had something for everyone. A gentle walk-in entry was great for sunbathing, and I saw a few toddlers enjoying it with their parents also. Walk-thru waterfall and grotto area in the main pool. There was ample seating, a few more umbrellas would have made the experience perfect, but if we felt like we were getting too much sun we could relax in the swim-thru waterfall grotto. The pool also featured an area with an infinity edge, and a couple of water slides. Although I am comfortable swimming in the ocean, my husband is not a strong swimmer, so the pool is important for us, and this one exceeded our expectations. 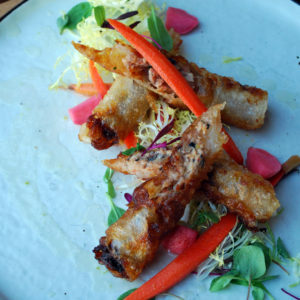 We ate nearly all of our meals off-property (check out my Six Must-Try Superfood Bowls on Kauai), but we did enjoy lunch and cocktails at the resort’s full service restaurant, the Holoholo Grill. 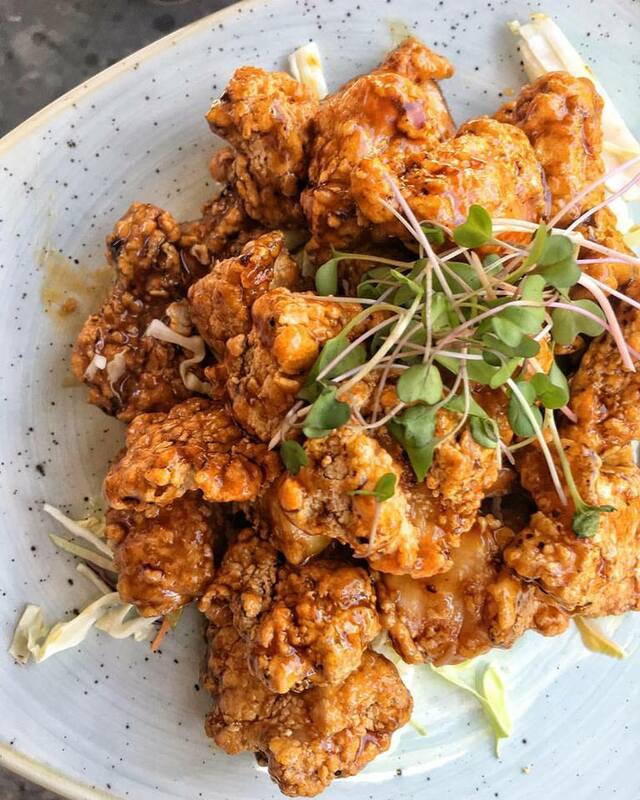 Our favorite was the fried chicken pupu, with island garlic sauce – a great appetizer offering for just $12. You can expect a 75-90 minute drive from Koloa Landing Resort to Hanalei, on the north shore. For the second leg of our trip we moved back to the Lihue area, but found ourselves gravitating back to the Koloa area. 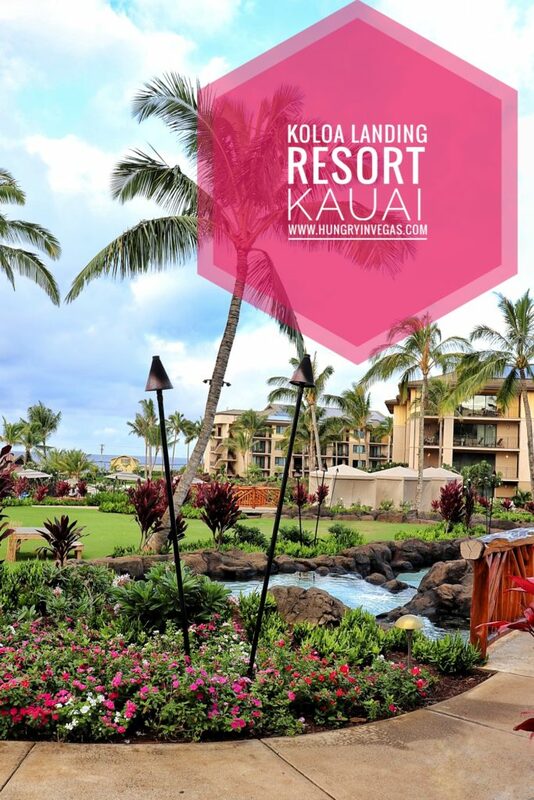 We loved exploring the western portion of Kauai, and Koloa Landing Resort was convenient for us to be able to check out many of the local restaurants, beaches, and scenic highlights we wanted to experience on Kauai. 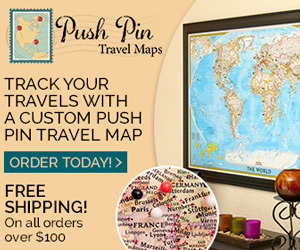 Want more of my Kauai favorites? Check out our sunset dinner at The Beach House. 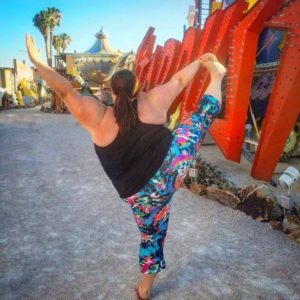 Looking for other activities? Snorkel and Sail the Na Pali Coast! 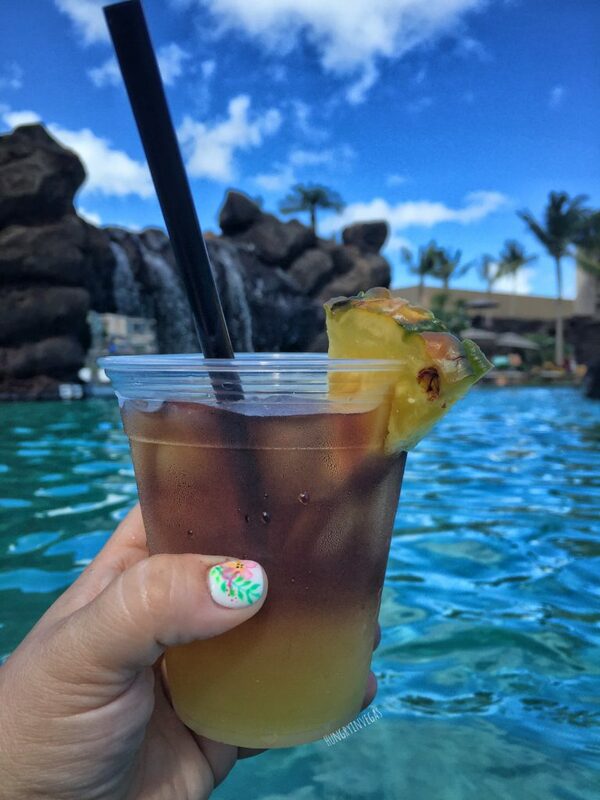 Whether you are a mid-30s adult couple traveling alone, like us, or looking for a spot for a multi-generational trip, Koloa Landing Resort provides a perfect setting to create lifelong memories with your ohana.